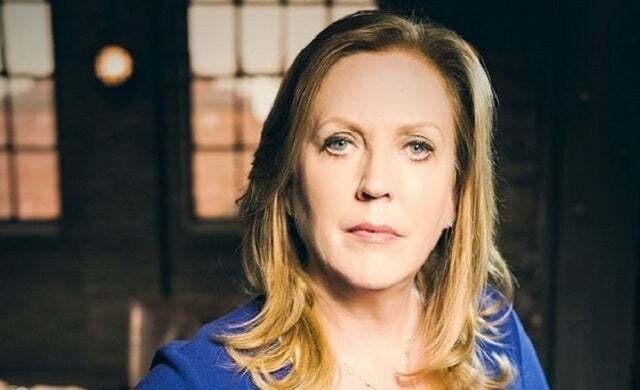 With Series 15 returning this Sunday, Startups’ bring you need-to-know facts on the £50m female entrepreneur joining Deborah Meaden and co.
Last month, the BBC revealed that Jenny Campbell, founder of multi-million pound business YourCash Europe, would be one of two new faces joining the Dragons’ Den panel for its 15th series, alongside pharmaceutical entrepreneur Tej Lalvani. Campbell will be following in the footsteps of predecessor Sarah Willingham MBE, who she replaces on the show, in the hunt to find exciting start-ups and small businesses to back. If Campbell’s career history is anything to go by then she’s well placed to be an investor on Dragons’ Den. The entrepreneur worked for high-street bank Royal Bank of Scotland (RBS) for 32 years across a variety of roles such as finance, sales, operations and risk and management, before purchasing ATM machine operator YourCash (which she re-named from Hanco) from RBS in 2010. After purchasing YourCash – a company which provides secure ATM machines to the retail market across the UK, Ireland, Germany and the Netherlands – in 2010, Campbell grew the business to achieve annual turnover of more than £30m with over 5,000 ATMs in operation. The company also had more than 88 staff working from its Milton Keynes HQ and through its European sales force. In October 2016, Campbell exited the business as part of a management buy-out to payment transaction firm Euronet Worldwide Inc. Campbell made £50m from the exit so it’s likely she’ll be using the funding pot to invest in businesses in the Den. Some of the country’s most successful entrepreneurs are those that have not been afraid to put their homes, education and family life on the line to pursue a business venture. Campbell is no different; she risked it all back in 2010 by re-mortgaging her home to finance the purchase of YourCash. In 2013, supported by a debt financing structure, Campbell undertook a secondary buy-out to exit the non-management shareholders which would enable her to become majority shareholder and take full control of the business. On her blog, Campbell explains that she shunned the decision to go into formal education at the age of 16 to join “the banking fraternity”. This was a decision that quickly paid off as, by the age of 23, she had completed her banking qualifications and had been awarded a Chartered Institute of Bankers prize. An avid supporter and champion of both female and male entrepreneurs, Campbell has gone to great efforts to help those with entrepreneurial spirit go far. She is involved with two charities – Young Enterprise and Tomorrow’s People – which are focused on helping and mentoring young people who have the potential to succeed either in business, their careers, or both. Alongside her business mantra, Campbell also promotes the view that everyone should ‘#bethebestyoucanbe’. Boasting a number of impressive accolades, Campbell was named Vitalise Business Woman of the Year in 2014 and has won the esteemed Ernst & Young Regional Entrepreneur of the Year awards for both 2013 and 2014. But that’s not all; in 2014, on the back of her business success, Campbell was admitted as a Freeman to the Guild of Entrepreneurs in the City of London. Outside of her work in the enterprise space, Campbell is a dog breeder and breeds and shows Flat Coated Retrievers at champion level. She is also an accredited breed judge. Businesses in the pet market, particularly dogs, could do well to focus their attentions on Campbell when pitching in the new series of the Den! Want to know what happens when the Dragons’ Den cameras stop rolling? View our guide to the most successful business to have ever appeared on the show.